SOUTH LAKE TAHOE, Calif. — More than two years after filing a lawsuit framed as a last resort to protect its rightful existence, Tahoe Wellness Cooperative and the city of South Lake Tahoe have reached an agreement to settle the matter. The agreement, if approved by the court, would close the book on a turbulent battle — one involving appeals, numerous council hearings and a referendum — between the city and the only legal cannabis business currently operating in South Lake Tahoe. The agreement, reached on a 4-0 vote with Tahoe Wellness owner and South Lake Tahoe City Councilor Cody Bass abstaining from the vote, was announced after a closed session meeting Tuesday morning. “It’s good to be moving forward and aligned the city, not fighting against the city,” Bass said after the meeting. 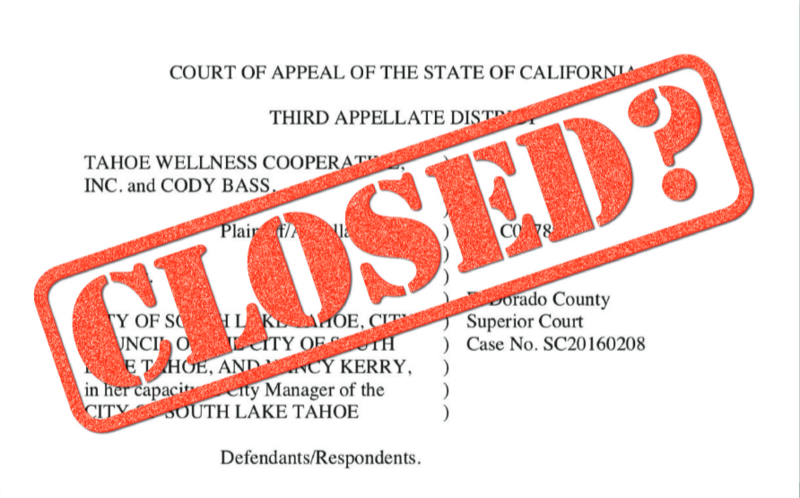 Under the terms of the agreement, Tahoe Wellness Cooperative will dismiss its lawsuit against the city, which is currently before California’s 3rd District Appellate Court. Tahoe Wellness also waives any rights to challenge the city’s existing cannabis ordinance via referendum, lawsuit or any other legal theory, according to a signed copy of the agreement. That pledge to not challenge the current ordinance was a crucial part of the agreement, Mayor Brooke Laine told the Tribune. That feeling is due to a previous referendum effort, spearheaded by one of Bass’ attorneys, in the fall of 2018. The successful referendum effectively nullified a cannabis ordinance adopted by the prior City Council that Bass argued would put Tahoe Wellness out of businesses. Under that previous ordinance, he would have been eligible to apply for cannabis licenses but would not be able to obtain adult-use licenses for the current medicinal uses that Tahoe Wellness currently uses. Those licensing limitation were do to zoning. While the new ordinance does not change the zoning in a way that would allow Tahoe Wellness to transition all of his current uses to adult use, the recently adopted ordinance does provide a three-year grace window allowing Tahoe Wellness time to either find a new location or change the zoning. During those three years the cannabis co-op will be able to have adult use — the term that applies to legal, non-medical cannabis uses — for all its current uses, which include retail, cultivation, extraction and in-house distribution. That three-year window in the ordinance was solidified in the settlement agreement with the city. The city also will allow Tahoe Wellness to submit an application to expand its retail operation, which currently stands at 1,900 square feet. The ability was one of several sticking points for Tahoe Wellness during negotiations. After a protracted legal effort, Bass purchased the building that houses his business in 2018. Since purchasing the building, Bass has maintained that he wants the ability to expand Tahoe Wellness should he chose to do so. The agreement allows Tahoe Wellness the ability to do so, although it would require approval from the city Planning Commission. Also as part of the agreement, Tahoe Wellness agrees to pay 6 percent of its gross receipts for the adult use portion of its business on a monthly basis during the three-year grace period. If during that time city voters approve a cannabis tax measure — some members of council have expressed support for putting a tax question before voters in the future once the city has an idea of a reasonable tax rate — the 6 percent revenue share would be offset by the tax. The settlement, if approved in court, would bring a close to a more than two-year dispute between the city and Tahoe Wellness. The case dates back to December 2016 when the city rejected a renewal application necessary for Tahoe Wellness to continue operating. Then-City Manager Nancy Kerry denied Bass’ application because it was incomplete, late and lacking the application fee. Council affirmed that decision in December. The city disputed that characterization. Regardless, the case went before El Dorado County Superior Court Judge Warren Stracener, who ruled in June 2018 in favor of the city but approved a temporary stay to allow Tahoe Wellness to continue operating until the case makes its way to the appellate court. Bass did appeal the case to the 3rd District Appellate Court, which has not ruled on the matter. Asked why the city chose to settle the case rather than see the appeal process through, which is successful could have potentially allowed for the recouping of attorney fees, Laine said the council’s goal was to reach the best outcome for the entire community. Under the settlement, both sides agree the cover their own costs and attorney fees stemming from the lawsuit. “Is it really at the end of the day in the best interest of the community or does it just become another issue that divides us,” Laine said. With the lawsuit seemingly headed toward a settlement the city is poised to move forward with allowing adult use cannabis businesses to operate. In the wake of the successful referendum in 2018, the city set out to craft an ordinance that was substantively different, which is a requirement under the referendum process. The regulations allow a limited number of legal cannabis businesses to operate within the city, while establishing e limitations as they pertain to zoning and licensing. Council also adopted guidelines for development agreements with each new cannabis business. The guidelines include a scoring rubric that will be used to determine which applicants will receive the necessary license from the city. After officially taking effect, the city started accepting applications on March 11. With April 5 being the last day applications will be accepted, potential applicants appear to be waiting until the last minute. 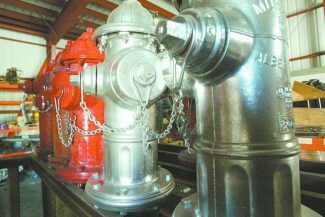 Director of Development Services Kevin Fabino told the Tribune on Tuesday the city had not received a single application. But that doesn’t mean there hasn’t been intrigue and questions directed at city staff. “They’re coming,” Fabino said of the expected applications. If all goes as planned, cannabis businesses could start opening later this year. As for Tahoe Wellness, Bass said he hopes to begin adult-use operations within a matter of days or weeks. “It’s somewhat unknown,” he said in explaining the unusual permitting order process that Tahoe Wellness is going through at the state level. More than two years after initiating a lawsuit, Tahoe Wellness Cooperative has reached an agreement on a settlement offer with the city of South Lake Tahoe. 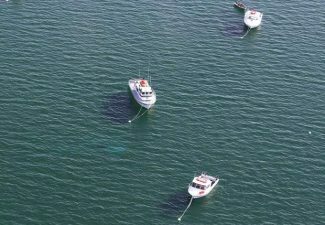 The agreement, approved on a 4-0 vote with Tahoe Wellness founder and South Lake Tahoe City Councilor Cody Bass abstaining from the vote, was announced after a closed session meeting Tuesday morning. According to a read out of the terms shared by city attorney Heather Stroud, Tahoe Wellness Cooperative will agree to drop its appeal before the appellate court and waive any rights to challenge the city’s existing cannabis ordinance via referendum or lawsuit. In exchange, the city affirmed its intent on allowing Tahoe Wellness to operate for adult use purposes for three years under the cannabis regulations adopted earlier this year. During that time, Tahoe Wellness will have the ability to submit applications to expand its retail floor space — one of several sticking points that Tahoe Wellness’ legal representation sought through negotiations with the city. The agreement, which is contingent on court approval, would bring to a close a more than two year legal saga between Tahoe Wellness, South Lake Tahoe’s only current legally operating cannabis business, and the city. The cooperative filed the lawsuit after the city rejected a renewal application necessary for Tahoe Wellness to continue operating in December 2016. Ultimately a superior court judge ruled in the city’s favor, and Tahoe Wellness appealed the decision. As the matter moved through the legal process, the previous City Council adopted new regulations for cannabis businesses. 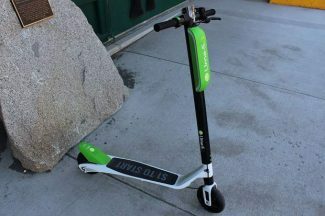 Arguing the new regulations would effectively force it out of business, Tahoe Wellness spearheaded a successful referendum of the regulations — effectively forcing City Council to come up with substantively different regulations. Bass was elected to council in November in an election that saw all three incumbents swept out of office and three first-time councilors tapped to sit on the five-member body. Earlier this year, council adopted new cannabis regulations allowing a limited number of businesses to operate within city limits. The city started accepting applications on March 11. The application window closes Friday.